Earlier this week, the man who killed Governor Salmaan Taseer died. A small funeral was held to remember this man, attended by only few lakhs of his closest friends and well wishers. In other words, it was not even a major event. When I turned on the TV, I didn’t even see anyone mentioning it. It was such a non-event! Then as my driver was taking me to meet some friends at Hot Spot I was posting a selfie on Twitter and my timeline was filled with people posting photos and videos of the funeral and talking about extremism spreading in Pakistan. I was completely confused! Immediately I noticed that majority of people spreading these news stories and photos were not even Pakistanis. They were mostly Westerners. What do they know about Pakistan? I’d bet most of them have never even been to Rendezvous! Then I noticed that I had a DM from a friend from school asking if I was safe! OMG! HOW RUDE!!! My day was ruined…or at least I thought it was. I let out a loud huff and my driver asked if I wasn’t feeling well. I HATE when he does that, so I hit him with my new bag that daddy just bought me, and do you know what he did? He nearly swerved into someone’s ugly old Camry. IDIOT!!! Well, if I thought things were bad then, I was not prepared for what was coming. I arrived at Hot Spot and saw that everyone was already at our table, only they weren’t looking happy to see me. Actually, they were all looking nervous. I didn’t understand at all. “Why do you look like that?” I laughed. “Did someone die?” They just stared at me. “Have you seen Diplo’s Facebook?” someone finally asked. Just last Saturday we all went to the rave and had the BEST time. I spent all night Tweeting and Instagramming photos of myself just to show all my friends from school who were sitting in London feeling TOTALLY jealous while I was at the party of the year! I tagged Diplo in all my photos so that he would re-post one. Did he post something where I wasn’t looking good? No. Actually, he did worse. He did the UNIMAGINABLE. 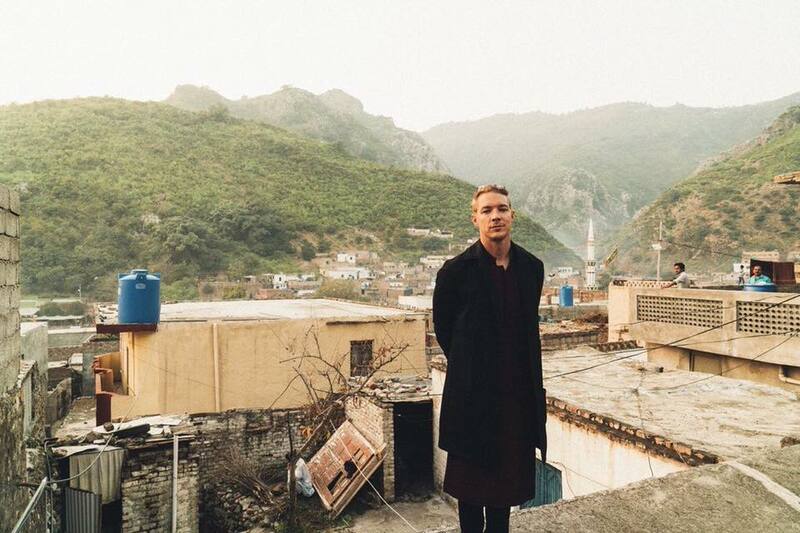 Diplo posted a photo of himself AT A SLUM. 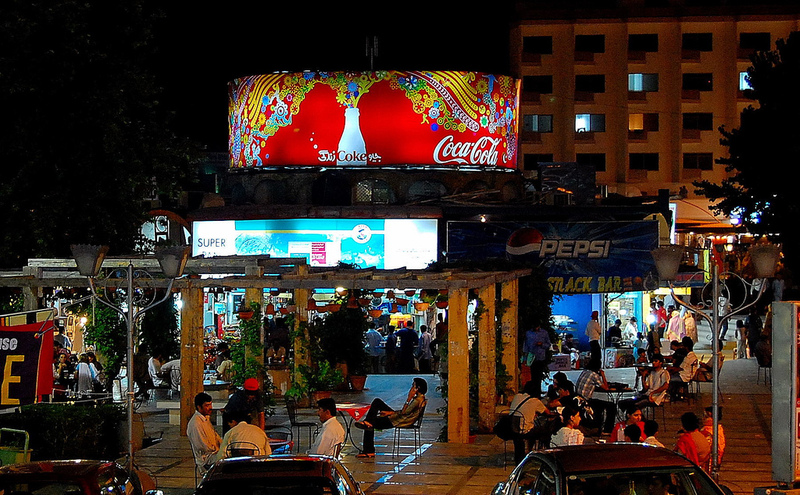 Now all my friends are going to see this and think THIS is what Pakistan is like! Where did he even find a place like that? I’m not a political junkie. I leave all of that to the experts like Ahmed Quraishi. However after this week I am CERTAIN that he is right. There is DEFINITELY a foreign conspiracy to defame Pakistan. How can there not be? Why else would these ‘Gora the Explorers‘ keep reminding us about poor people and militants and other awful things? It’s not fair! Actually, I don’t blame Diplo. He was OBVIOUSLY taken to wherever this is by some RAW agent probably from MQM who is just JEALOUS and spent YEARS building this fake slum in order to defame Pakistan. How do we even know this is IN Pakistan? It’s obviously a photoshop! The good news is, daddy could tell I was in a terrible mood when he got home and he asked me what was wrong. I told him about all the horrible things that had happened and he promised to take me shopping in Dubai. I love a happy ending! This entry was posted in Blogs and tagged Ahmed Quraishi, diplo, extremism, Mumtaz Qadri, satire by Editor. Bookmark the permalink.